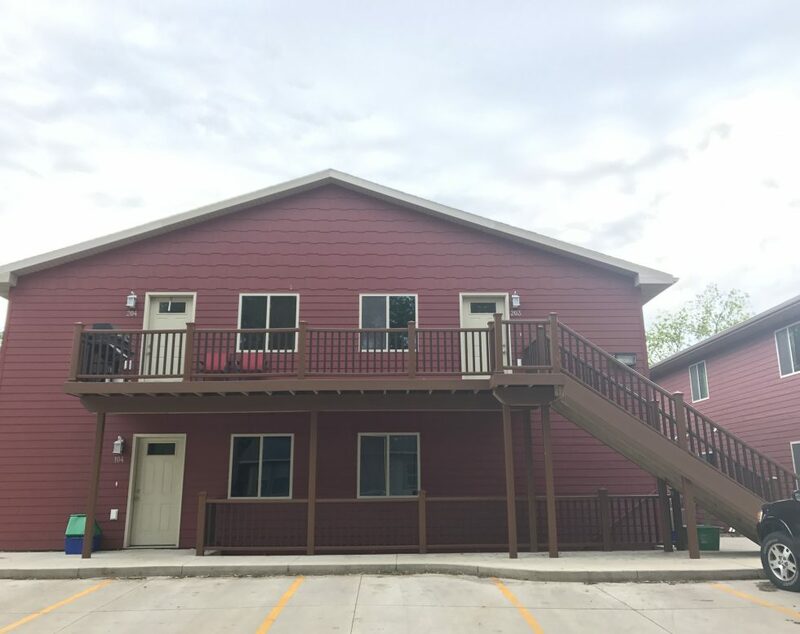 Lincoln Courtyard Apartments – 1 or 2 bedroom apartments available starting Feb 2019 1306 Roosevelt – 1 bedroom studio $465 tenant pays water, sewer, elec. Built in 2014. 1223 Lincoln – 1 bedroom studio $415 tenant pays electric. 1305 Lincoln – 2 bedroom apartment $565 tenant pays electric. Each of the 3 buildings offer a coin op laundry, off street parking, bike racks, and owner pays trash. Kitchen with range and refrigerator. No pet policy. Application process required. Deposit due at lease signing, equal to one months rent. One year lease. Contact Kelly 605-670-2795 for viewing.